خدائی میدانشاه, محمداحسان, نادران طحان, خسرو, دهقان منشادی, مجتبی, یاقوتیان, امین. (1397). حل دقیق سرعت و فشار سیال لزج ناشی از اثر سینماتیکی موج حرکتی مرزی دوبعدی. نشریه پژوهشی مهندسی مکانیک ایران, 20(4), 205-227. محمداحسان خدائی میدانشاه; خسرو نادران طحان; مجتبی دهقان منشادی; امین یاقوتیان. "حل دقیق سرعت و فشار سیال لزج ناشی از اثر سینماتیکی موج حرکتی مرزی دوبعدی". نشریه پژوهشی مهندسی مکانیک ایران, 20, 4, 1397, 205-227. خدائی میدانشاه, محمداحسان, نادران طحان, خسرو, دهقان منشادی, مجتبی, یاقوتیان, امین. (1397). 'حل دقیق سرعت و فشار سیال لزج ناشی از اثر سینماتیکی موج حرکتی مرزی دوبعدی', نشریه پژوهشی مهندسی مکانیک ایران, 20(4), pp. 205-227. خدائی میدانشاه, محمداحسان, نادران طحان, خسرو, دهقان منشادی, مجتبی, یاقوتیان, امین. حل دقیق سرعت و فشار سیال لزج ناشی از اثر سینماتیکی موج حرکتی مرزی دوبعدی. نشریه پژوهشی مهندسی مکانیک ایران, 1397; 20(4): 205-227. در پژوهش حاضر، برای توسعه‌ی مسأله استوکس نوع دوم، مرز سیال لزج تراکم‌ناپذیر ساکن، همزمان در دو جهت تحریک می‌شود. این تحریک دوبعدی ناشی از اثر سرعت موج متحرک، شرط مرزی معادله‌های ناویر-استوکس خطی دوبعدی می‌باشد. حل دقیق زمانی-مکانی میدان‌های سرعت و فشار نشان می‌دهد، تا ارتفاع 87/1میکرومتر، دامنه‌ی نوسان سرعت، دارای میرایی سریع و اختلاف فاز بین کمیت‌ها، متغیر است. سپس، تا ارتفاع یک میلی‌متر از مرز پایین، دامنه‌ی کمیت‌ها دارای میرایی کند می‌باشد. تغییرات مکانی موج مرزی و تأثیر مؤلفه‌های سرعت بر یکدیگر، باعث تشکیل موج‌ فشاری می‌شود. درضمن، تحریک مرزی دوبعدی، باعث چرخش میراشونده ذره‌های سیال می‌شود. Rose, J. L., "Ultrasonic Guided Waves in Solid Media", 1st Edition., Cambridge University Press, the United States of America, (2014). Currie, I. G., "Fundamental Mechanics of Fluids", 4th Edition., CRC Press, (2013). Bogard, D. G., Ball, K. S., and Wassen, E., "Drag Reduction for Turbulent Boundary Layer Flows using an Oscillating Wall", Report. No. TTCRL 00-2, Mechanical Engineering Department, The University of Texas at Austin, October (2000). Quadrio, M., And Ricco, P., "Critical Assessment of Turbulent Drag Reduction through Spanwise Wall Oscillations", Journal of Fluid Mechanics, Vol. 521, pp. 251-271, (2004). Viotti, C., Quadrio, M., and Luchini, P., "Streamwise Oscillation of Spanwise Velocity at the Wall of a Channel for Turbulent Drag Reduction", Physics of Fluids, Vol. 21, No. 11, pp. 115101-115109, (2009). Skote, M., "Turbulent Boundary Layer Flow Subject to Streamwise Oscillation of Spanwise Wall-velocity", Physics of Fluids, Vol. 23, No. 8, pp. 081701-081704, (2011). Cimarelli, A., Frohnapfel, B., Hasegawa, Y., De Angelis, E., and Quadrio, M., "Non-sinusoidal Wall Oscillation for Drag Reduction", Proceedings in Applied Mathematics and Mechanics (PAMM) Vol. 12, No. 1, pp. 565-566, (2012). Shen, L., Zhang, X., Yue, D. K. P., and Triantafyllou, M. S., "Turbulent Flow over a Flexible Wall Undergoing a Streamwise Travelling Wave Motion", Journal of Fluid Mechanics, Vol. 484, pp. 197-221, (2003). Quadrio, M., Ricco, P., and Viotti, C., "Streamwise-travelling Waves of Spanwise Wall Velocity for Turbulent Drag Reduction", Journal of Fluid Mechanics, Vol. 627, pp. 161-178, (2009). Quadrio, M., and Ricco, P., "The Laminar Generalized Stokes Layer and Turbulent Drag Reduction", Journal of Fluid Mechanics, Vol. 667, pp. 135-157, (2011). 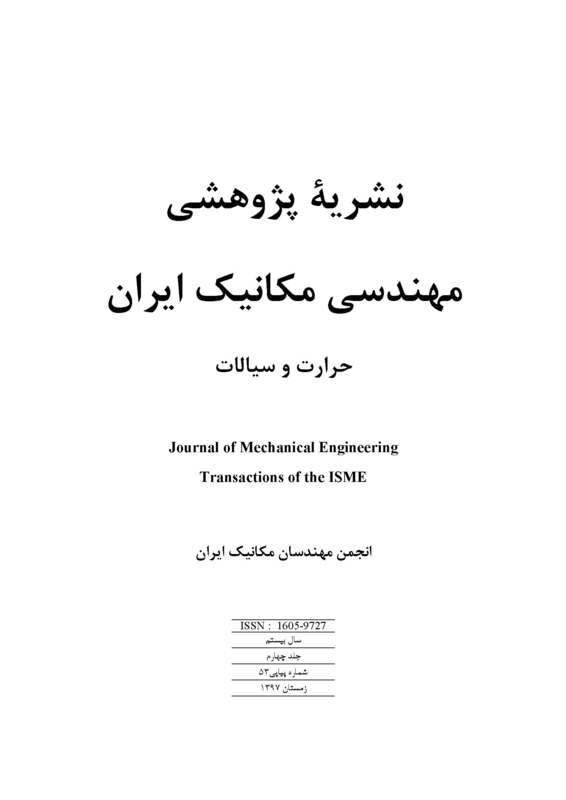 Ahmad, H., Baig, M. F., and Fuaad, P. A., "Numerical Investigation of Turbulent-Drag Reduction Induced by Active Control of Streamwise Travelling Waves of Wall-Normal Velocity", European Journal of Mechanics, B/Fluids, Vol. 49, pp. 250-263, (2015). Tian, F. B., Lu, X. Y., and Luo, H., "Propulsive Performance of a Body with a Traveling-Wave Surface", Physical Review E, Vol. 86, No. 1, pp. 016304, (2012). Ricco, P., and Hicks, P. D., "Streamwise-travelling Viscous Waves in Channel Flows", Journal of Engineering Mathematics, Vol. 111, No. 1, pp. 23-49, (2018). Martin, B. A., and Hager, H. E., "Flow Profile above a Quartz Crystal Vibrating in Liquid", Journal of Applied Physics, Vol. 65, No. 7, pp. 2627-2629, (1989). Qi, Q., "Attenuated Leaky Rayleigh Waves", Journal of the Acoustical Society of America, Vol. 95, No. 6, pp. 3222-3231, (1994). Eysden, C. A. V., and Sader, J. E., "Small Amplitude Oscillations of a Flexible Thin Blade in a Viscous Fluid: Exact Analytical Solution", Physics of Fluids, Vol. 18, No. 12, pp. 123102, (2006). Xu, Y. Q., Tian, F. B., Tang, X. Y., and Peng, Y. H., "A Mathematical Model for Micro- and Nano-swimmers", Journal of Mechanics in Medicine and Biology, Vol. 13, No. 6, pp. 1340013, (2013). Gusev, V. A., and Simonova, P. A., "Effect of Shear Components of the Acoustic Field in the Viscous Liquid on the Structure of the Stoneley Wave at the Interface between the Liquid and Elastic Half-spaces", Physics of Wave Phenomena, Vol. 23, No. 4, pp. 268-272, (2015). Tomohisa Kojima, K. I., Kosuke Takahashi, Farid Triawan and Kikuo Kishimoto, "Dynamics of Wave Propagation Across Solid–fluid Movable Interface in Fluid–structure Interaction", Journal of Pressure Vessel Technology Vol. 139, No. 3, pp. 031308, (2017). Takiy, A. E., Granja, S. C. G., Higuti, R. T., Kitano, C., Elvira, L., Martinez-Graullera, O. F., and Espinosa, F. M. D., "Theoretical Analysis and Experimental Validation of the Scholte Wave Propagation in Immersed Plates for the Characterization of Viscous Fluids", Published, Proc. 2013 IEEE International Ultrasonics Symposium (IUS), pp. 1614-1617, (2013). Nayfeh, A. H., and Nagy, P. B., "Excess Attenuation of Leaky Lamb Waves Due to Viscous Fluid Loading", Journal of the Acoustical Society of America, Vol. 101, No. 5, pp. 2649-2658, (1997). Wu, J., and Zhu, Z., "An Alternative Approach for Solving Attenuated Leaky Rayleigh Waves", Journal of the Acoustical Society of America, Vol. 97, No. 5, pp. 3191-3193, (1995). Randall, R. B., "Vibration-Based Condition Monitoring", 1st Edition., John Wiley and Sons, (2011).